Vertigo Relief, Dizziness Relief, Dizzy, Meniere’s Disease Relief, Vertigo, Dizziness, Meniere’s , Meniere’s Disease disease causes severe episodes of vertigo, ringing and a feeling of congestion in the ear, and hearing loss. It is a disorder of the inner ear caused by a buildup of excess fluid. There are many theories out there about what causes this buildup of fluid, but there are no definite answers, which might leave Meniere’s sufferers feeling like there are no options for lasting relief. Fortunately, research about upper cervical chiropractic continues to be very promising. 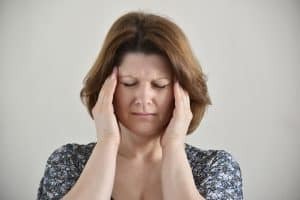 There are numerous documented cases of improvement and recovery from Meniere’s disease and vertigo for people who have utilized upper cervical chiropractic to address spinal issues that were determined to be an underlying cause of the problem. In a recently published study, a 45-year-old man had suffered from Meniere’s disease symptoms for 12 years before seeking out upper cervical chiropractic care. Just as we do at Zehr Chiropractic, a chiropractic examination was performed, and it was determined that an atlas misalignment was present and contributing to dysfunction within the nervous system. This patient received upper cervical chiropractic adjustments, and over the course of his care, he experienced a complete elimination of his vertigo and hearing loss and a big improvement in his quality of life. If you are suffering from Meniere’s disease, we may be able to help. If we determine that you have an upper cervical misalignment, then getting it corrected will create the conditions under which your body will be able to heal better. Given enough time, it is possible (just as it was in the case discussed above) for you to experience a reduction or even complete resolution of your symptoms.